You’ve probably kept goldfish when you were a child, you may even have some in a tank right now. But, you might never have considered that these fish can do more than just look pretty as ornamental fish. In fact, you can create a goldfish aquaponics system that will allow you to grow and gravest your own food in a fraction of the space occupied by traditional farming methods! A humble goldfish is actually an eating machine, in short, the more they eat the more waste they will produce and the greater your supply of nitrates for your plants. The fact that these fish are surprisingly hardy and come in a variety of types means that they are an excellent choice for the beginner while still being an attractive fish to look at. However, it is important to note that although the common goldfish is one of the hardiest fish you can get you do still need to pay attention to the details when creating your system and maintain the right environment for your goldfish. 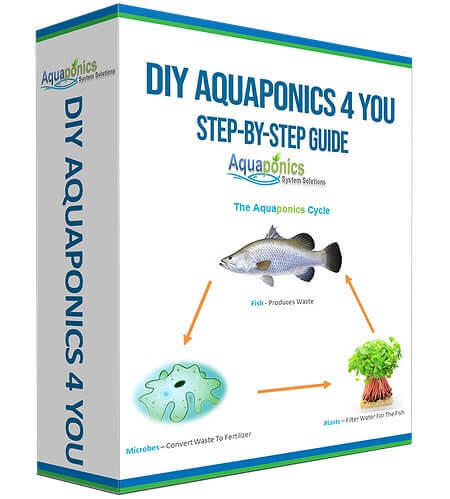 There are several things that you should know before you go shopping for your goldfish aquaponics system. 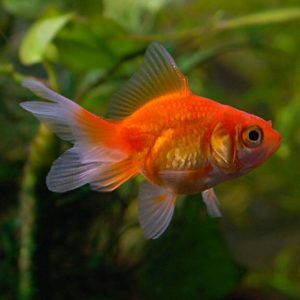 There are actually several species of goldfish, all of which can be used in your aquaponics system. But, there are two distinct types that all species fall under the single tail or twin tail. The single tail is more aggressive and faster swimmers and they will dominate the tank if you try to put both types in the same system; leaving your twin tails suffering. This is the traditional orange/goldfish that you already know. It is the hardiest of all the goldfish and very fast. It can grow to one foot long if it has space and is often seen as a good companion for Koi. 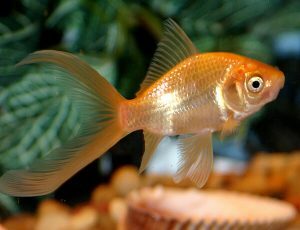 In fact, most other types of goldfish are derived from the common version. The Comet is a faster and more agile swimmer than the traditional common goldfish. Its tail is longer and has a deep fork but can also reach 1 foot long. However, the comet can be found in orange, white, red or yellow. 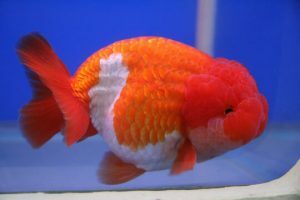 Shubunkins are multi-colored but otherwise very similar in appearance to the common goldfish. They are just as hardy and can actually grow to 15 inches long! You may also be interested to note that there is a rare form of the Shubunkin which is blue; it is surprisingly valuable. There are a lot more twin-tailed varieties than single tailed ones. 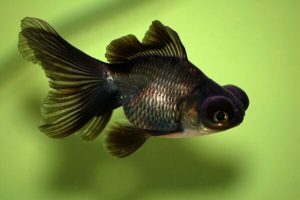 This goldfish is actually black and has an egg-shaped body. It is smaller than the common goldfish, growing to just 8 inches long in the right environment. It is worth noting that although the Black Moor is hardy it does have protruding eyes and poor sight; you’ll need to be careful if you place any objects inside your tank. The Ranchu is actually one of the most popular fish in China and Japan. Although very similar to a Lionhead these have short tails and arched backs, as well as no dorsal fin. You’ll find these in a variety of colors including red, black or white and they can reach 8 inches long. Lionchus are stunning to look at despite not having a dorsal fin. They are actually a crossbreed descended from the Ranchu and the Lionhead. You can get it in white, yellow or red but it is also common as in dual colors. This species of goldfish will grow to 6 inches long. 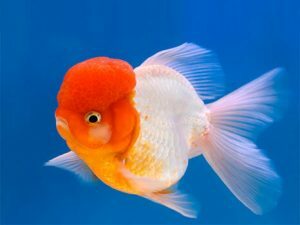 This is the most common ornamental goldfish as it has a distinctive head, similar to a lion’s mane. This is where the name comes from and why they are so common, they have a cute, almost cuddly look. Again you can get them in orange, yellow or occasionally white and they can reach 6 inches long. 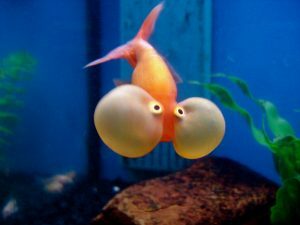 With a bladder under each eye, it’s easy to see why this type of goldfish is called the bubble eye. You’ll find this variety is mainly orange although it is possible to find them in red, white or even calico. Although they grow to 6 inches long they are actually a very fragile fish; this is not the one to get if you are just starting a goldfish aquaponics system. Fantails are actually a variant of the Ryukin; they have a wide head and short body. You may want to note that these are potentially the hardiest of all the goldfish and a great choice for beginners choosing their first goldfish for aquaponics. The eyes of this type protrude from their heads; giving the appearance of a telescope; hence the name. They can be orange, red, white, tri-color, calico and even chocolate color. These are also a very hardy variety and can reach 6 inches long. Pearlscales are the final type of goldfish to consider for your system. They have large midsections and a pearlescent appearance to their scales. They are one of the hardiest of the twin tails although still not generally as hardy as the single tails. It is also important to be aware that these are poor swimmers if you keep them with other fish, (which is unusual in aquaponics), then they will suffer as they may struggle to get enough food. 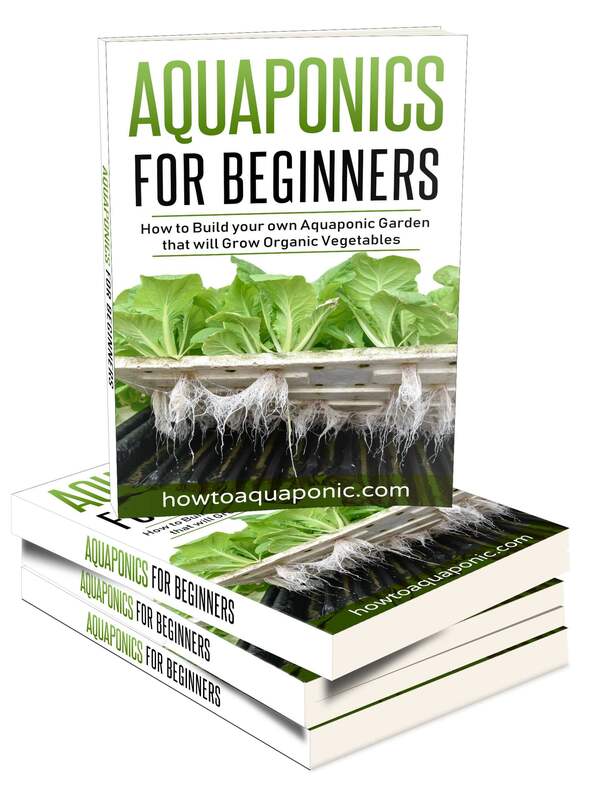 All of the above species can be used in a goldfish aquaponics system but perhaps the best ones for the beginner are either the common goldfish or the fantail. Goldfish are cold water fish; this makes them perfect if you live in cooler climes. 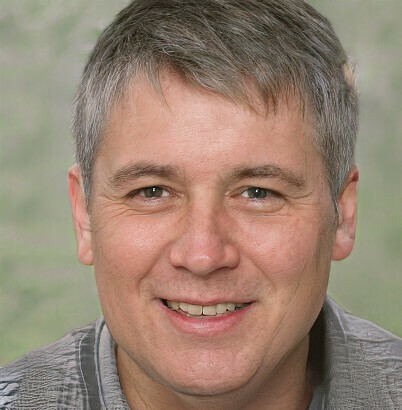 They can actually adapt to conditions between 40°F and 78°F. 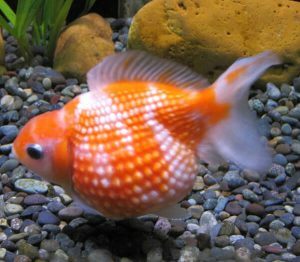 However, if you’re going to keep your goldfish at the lower end of this scale then you will notice they are sluggish and have little interest in their surroundings. This means they’ll eat less, produce less waste and potentially not provide enough nutrients for your plants. At the other end of the scale if the water is too warm they are more likely to pick up a disease, specifically, swim bladder disease which prevents them from swimming normally. To keep your goldfish healthy and happy you need to keep the temperature between 65°F and 72°F; you’ll need to consider how easily you can do this depending on the climate where you live and where you intend to put your setup. As mentioned above most of the twin-tailed goldfish can reach lengths of 6 inches while the single tailed can get as long as 12 inches. However, they will only grow according to the space they have available and the environmental factors as discussed later. Goldfish fry lives off the yolk sack for the first 48 hours, at this stage, they will be less than 1/8th inch long. Within 8 weeks they should be approximately 1 inch long. 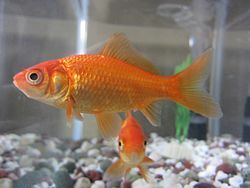 By 6 months the goldfish will be virtually full grown, although it may still grow a little over the following 6 months. Can You Combine Goldfish With Other Fish? 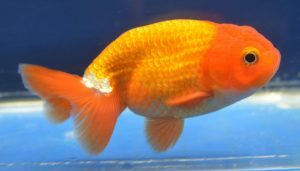 It is not a good idea to keep single tailed goldfish with twin-tailed. The single tails are much more aggressive and will get to the food before the twin tails have a chance. 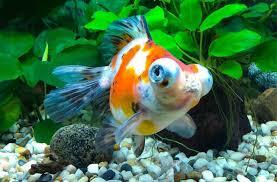 However, there are several species of fish that can be kept alongside the goldfish without any issue. Koi carp is the most prominent example as these are frequently put together in ornamental ponds. It is possible to mix goldfish with tilapia but you’ll need to keep an eye on them to ensure any smaller goldfish are not attacked. If the food supply is low then the goldfish are more likely to be attacked. In general, this is not a good approach to goldfish aquaponics. Using goldfish for aquaponics is a practical solution but, as with any sort of aquaponics system; you will have a variety of questions that need to be answered before you get started. Here are the most commonly asked questions but if you need to know anything else just contact me, I’m happy to help with all kinds of aquaponic systems; not just goldfish aquaponics. It’s usually best to choose a fish food that is high in protein and in pellet form. The goldfish can easily consume these but you will need to be wary of overfeeding. Goldfish are generally greedy and will eat if there is food available whether they are hungry or not. For this reason, you should limit their food to how much they can eat within 2 to 3 minutes of feeding them. It is okay to feed them twice a day. As already mentioned single tails can get to 12 or even 15 inches long if they have the space to grow this big. Twin tail varieties will only reach 6 inches on average. Yes! This is not a fish that is usually on the menu as it is extremely bony and there are much better options if you’re growing for your plate. But, if you find yourself in an apocalypse, you can eat them. However, bear in mind that they will adopt the flavor of the food you are feeding them; you may want to change their diet. On average a goldfish will live for between 10 and 15 years. Of course, this will depend on how well you maintain their environment and whether you decide to eat them. Where do you buy goldfish? The great thing about choosing goldfish for aquaponics is that you can purchase them at virtually any fish store. 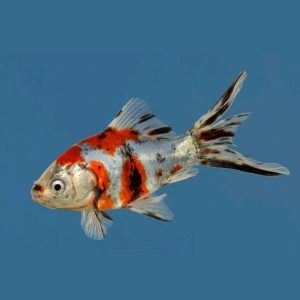 You can also look online to find vendors that specialize in fish for your goldfish aquaponics system.